• Free water base included! • Suitable for indoor or outdoor use. • This base attaches to the bottom of your feather flag pole (sold separately). 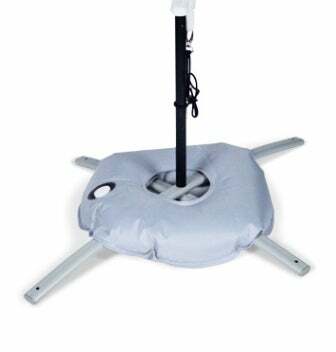 Water base adds weight to keep base on the ground and hold your feather flag sturdy. • Does not include feather flag or flag pole or hanging accessories.